Increase in reports of the flu. 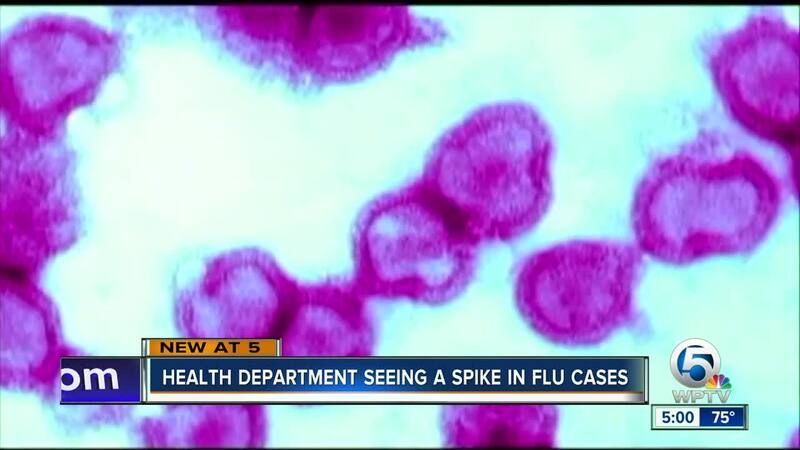 Flu cases are beginning to increase across the Palm Beaches and the Treasure Coast. "We are definitely seeing a rise in flu cases," says Palm Beach Gardens Medical Center Emergency Room Medical Director Dr. Jason Sevald. "People are usually sick with it for a good week sometimes ten days, it does not go away quickly," Dr. Sevald says. Health officials say flu usually does spike this time of year in Florida, but the state reports the increase is higher than this time last year. "We get the virus a little bit later than the north it starts in the north and moves on down,” says Palm Beach County Health Director Dr. Alina Alonso. Dr. Alonso says the best defense for the flu is to get the flu vaccine shot and to wash your hands.